On 13 November 1960 hundreds of Kurdish schoolchildren, most of whom were under the age of 14, perished in a blaze at a cinema in Amûde, Syria. Death tolls vary between 180 and 300 children. No one knows for sure except that almost every family in Amûde lost a child that day. The Egyptian horror film ‘The Midnight Ghost’ was playing. The director of the subdistrict of Amûde had ordered that all elementary aged schoolchildren attend the film. Algeria at that time was fighting for its independence from France and proceeds from the film were to be donated to the Algerians. This was the last showing of the day and 500 children packed into the wood, straw and clay structure that was designed to hold 200. Most were crammed in next to each other on long benches; many stood where they could find room. The projector had been running all day showing the Egyptian film to hundreds of others. In this last screening it overheated and burst into flames, igniting the projection room. Flames spread quickly through the building. The children inside panicked. They ran towards the exits—two narrow doors only 80cms wide—falling and tripping over one another. The doors opened inward and with the children inside piled up against the doors they could not open them. 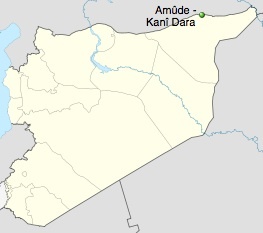 Amûde had no fire department. Engines were called in from Qamişlo and Hesîçe (al-Hasakeh), but arrived too late. Eyewitnesses at the time said that the projectionist and owners of the cinema had left after the fire broke out and the doors had been blocked from the outside. They also said that when parents and residents attempted to save the lives of the children trapped inside, the police stopped them claiming it was ‘too dangerous.’ However, one local resident, Mihemed Deqorî, managed to save 11 children from the blaze but perished while trying to rescue a twelfth. Kurdish sources estimate 283 to 300 perished in the cinema fire. An Egyptian newspaper Akhir Daqiqah cited 200 dead and 450 injured. The Egyptian magazine al-Musawir reported 180 dead and 121 injured. Many of the seriously injured children later succumbed to their injuries. This tragedy took place during the short-lived union of Syria and Egypt—the United Arab Republic (1958-1961). 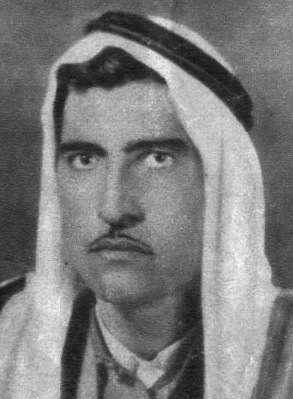 Kurds were seen as a major threat to the pan-Arab unity project and anti-Kurdish sentiment ran high. 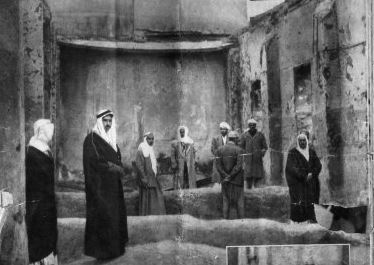 Political and cultural activities of minority groups were closely monitored; Egyptian teachers were sent to the region. It was through this lens that allegations surfaced by the Kurdish population and Syrian-Kurdish parties that the fire was a deliberate attack on the Kurds, motivated by anti-Kurdish sentiment. The KurdWatch Report on the fire states that ‘there is no concrete evidence that the fire and subsequent catastrophe was anything other than an accident caused by inadequate safety measures.’ Rather, it says, that events at the time gave rise this interpretation. The facts surrounding the cause of the blaze were never established and there has been no closure. Fifty years later, there is still an ongoing ban on any public commemoration of those who died in the fire. The ‘Amudah cinema fire of November 1960. KurdWatch, Report 2, 2009. Tejel, Jordi. 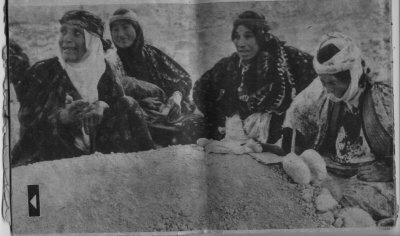 Syria’s Kurds: History, politics, and society. Routledge, 2009. This entry was posted in Uncategorized and tagged Kurdish, Kurds, Syria by KB. Bookmark the permalink. :-( Poor children. Rest in Peace. It wasnt accident. the same syriani did to 72 kurdish prisoners in Al- Hasaka on 23 march 1993. Despite all I have read about Kurds in Syria, this is the first time I hear about this tragedy. It is a very emotional and heart-breaking story. Thanks for sharing KB. i had not heared about this tragedy, it realy affeted me emotionally like other tragic stories i had road about kurds. thank you for the link – but i dont know if i am strong enough to watch it. for a long time i also didnt know that things like that was happening in western Kurdistan. I learned a lot since i got to know barez Dr Jawad Mella, the President of Western Kurdistan Government in Exile. Now i see not only me didnt know – so i already post notice about that on all my websites, where i have any profile or account. The Kurds have had more than their share of such horror stories. I hope that the future is much brighter for all Kurds in the world. I have found Kurds to be some of the nicest and most joyful people on earth, despite the terrible wrongs inflicted upon them by so many people. Likewise, this was new to me. The event – very tragic indeed – doesn’t appear to feature much in any of the works on Kurds in Syria. Thank you for bringing this to the collective attention of readers! arabs have been plotting for kurds, i wonder why !?! !